The human is composed of about 50trillion cells or more with genetic material at their nuclear cores. They are all in constant communication and work together in harmony as one single human being. The chromosomes are the carriers of all human genetic information – the so-called “genetic code”. Today,scientific researches in biology, bio-physics and the bio-cybernetic have found that human cells communicate among themselves and with each other in an information network. According to Bruce Lipton, a cell biologist, there are many more biophysical antennas at the surface of the cells reacting to energetic stimuli than biochemical ligands such as hormones and enzymes. Moreover, cells produce, possess, reactto, processand analyze energy signals. They are small energy plants!In fact, any form of energy existing in the universe, whether electrical, magnetic, gravitational, repelling and subtle forms, it exists in our body and cells too. The truth is that our cells are a hologram presentation of our entire body and the universe itself! The biophysical medicine is based on the concept of Quantum Physics (the physics of energy) assuming that matter (our body) is also electromagnetic energy fields. This basic scientific theoryis based on the recognition of Albert Einstein’s master formulaE = m c ²(matter is convertible into energy – and vice versa). Put simply: Matter is energy, so man is energy! It is hence easy to understand that the human cells are energy and information carriers. The human organism is therefore not only material matter (organs, muscles, tissues, blood), but also an electromagnetic energy and frequency field. If the energy equivalents of matter and energy is equivalent to information, it’s logical that every organ function of the human body is inextricably linked to information. Each correct organ function is due to correct information. Any change in a physical condition (for example, the state of an illness), is therefore always the transformation (conversion) or change in the information provided. The modern Quantum Medicine,the biophysics and energy medicine, therefore assumes that it is possible to stabilize the energy budget or energy organization of the human body and its organs – in case of illness – with positive change! This is a wonderful and easy meditation which will take only a few minutes of your time only and it is therefore easy to be done by almost everybody! You can do this anytime during the day when you have a few minutes of spare time. But it is the best to do it at night while on bed trying to fall asleep. If you find this practice suitable and pleasant, you can do it as often as you desire and as long as you want it to. What is needed the most is only doing it once for at least 2 minutes at the time. Sit relax with your feet together. Now deeply breathe a few times into your stomach, not the chest. Let the air go down into your abdomen. Repeat this step for 3-4 times. Now close your eyes while your body is relaxed, picture yourself while you are sitting or lying down. At this time try to feel your feet inside your shoes, feel each of your toes and how your sole is pressed inside. Now try to feel the back of your legs, your buttocks and your back (like it’s resting on a bed or on a chair). Keep yourself relaxed as you feel your surroundings, feel the temperature of the room on your skin, listen to all sounds that you hear. Feel each part of your body keeping them relax (eps your chest, abdomen, shoulders and neck). Relax your jaw now! This time you are ready for the final step. This technique involves your imagination! Try to imagine that you are a movie director with a new project in hand. It is about making a movie about you this time, and that movie is about the story of your life. Imagine your life and how it would be if you were born today! Imagine you were born just today. A brand new person, 1 day old only! You are who you are and only one day old. So you haven’t experience anything yet. There is no yesterday, no last week, last month or last year. Imagine, there is no past, you just came to the world and nothing to worry about! No bad experience, haven’t felt bad or sad ever yet, and never been broken or lost! Imagine yourself as a one-day old person, fresh, new and carefree. Stay on this feeling (2-3mins or more)! CDC Knew MMR Vaccines Cause Autism – Study Published in 2004 Had Intentionally Omitted Conclusive Data. Watch this video. Be Amazed by the Power of Nature! Just look at only some of the amazing power on your body! It is mind blowing! Wow! Who are we? Really! You are a unique individual in the universe from the moment of the creation to the very end! Just look at your finger print, your protein code, the patter of your retina in the back of your eyes, as well as your frequency resonance, how your molecules and atoms are vibrating! Your body talks!Based on your energy signals (such as your heart electricity on an electrocardiogram chart or ECG or brain electricity, electroencephalogram or EEG! This is the basis of Quantum Medicine for analyzing the body, mind and spirit (functions and the balance)!!! There are more cells in your body than stars in our galaxy! Your entire body is made up of around 70 trillion cells, equal to the inhabitants of 10,000 planet Earths together in only one single body! Each one of your cells is like a small body of its own with all the systems together and with millions and millions of different types of complex molecules interacting with each other to keep you alive and conscious. When you compare this to the 400 billion stars in our galaxy, then you will understand the meaning of these numbers! A minimum electrical charge of 70 mv is a MUST for any cell to be able to function normally (TMP or the Trans-Membrane Potential)! So if you multiply these little charges to the number of the cells in our body, you will end up having an average or 10 to 20 million volte of electricity in your body! That is like a large electrical power plant!!! Your brain operates on the same amount of power as a 10 watt light bulb! But the amount of electricity in your heart is 60 times more of the brain! The membrane of the cells is the BRAIN of the cells. They can choose what is good or not, so to keep the doors open or closed to them and many more! There are at least 100 times more antenna on the cell surface to react to bio-physical signals than ever to biochemical ones (ligands, hormones, enzymes, etc) Cells therefore dispatch each other by physical signals as if they use a walkie-talkie device to get updates from each other!!! 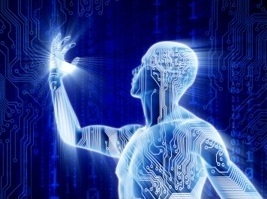 Our body responds to 400 billion bit of information per second. We could be aware of 2000 of them at the top!It means we receive, analyze and react to them all every second. So the subconscious in almost 200 million times large and more active than the conscious!!! The magnet energy of your heart is 5000 times stronger than your brain! In fact, the magnetic energy which is emitted from your heart can be measured and detected 6 to 8 feet away from you! Think about the sea of energy which you are embedded in and how it can impact your body functions when you are joyful, angry, frightened or worry! This is the real signal in how we speak to the universe (the subconscious feelings or the beliefs)! Every 7 years our body almost completely replaces itself. 25,000,000 of your cells died while you read this sentence. It’s okay though, your body made more than 300 billion new ones today. While this is true for most cells, such as the cells lining the stomach, some of the most important cells in your body (those of your bones, your brain, and your heart) don’t regenerate much at all. Nerve impulses to and from the brain travel as fast as 250 miles per hour The speed of nerve impulses varies enormously but the fastest travel at about 250 mph. This is like the speed of the fastest racing cars ever made! There are 100,000 miles of blood vessels in an adult human body.If you took all of the blood vessels out of an average child, and laid them out in one line, the line would be over 60,000 miles long. An adult’s vessels would be closer to 100,000 miles long! That means an adult’s blood vessels could go around the circumference of the world more than 4 times. For every centimeter of growth in our waist circumference, there is a sum of 70,000 kilometer of blood vessels manufactured in us! So just think about the pressure one’s heart will go through for its pumping action to send the blood and move the fluid around the body of an obese person. we are in an ocean of information emitted constantly from our heart which acts as the feeding power for the cellular functions in us and it is, at the same time, the most important aspect of law of attraction by us! Our thoughts become our words. The words become our beliefs. Our beliefs become our actions. Our action becomes our characters and our characters define our destiny! 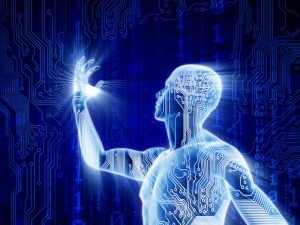 Our mind, therefore, is a powerful machine and controls every function of the body. But the good news is you have the power to control your mind. Experiencing positive thoughts leads to more positive thoughts and an even broader view of everything around us. Yes, we are made of tissues and cells and molecules and ultimately, atoms. The question is where these atoms comprising my body are made! The answer is in the centre of stars such as our sun and at the moment of super explosions called “Supernova”! So we are a collection of star dust and from every shinny star in the universe at night, there is definitely a trace in every one of us!!! So once again, who are we? Really? In recent years, I have been seeing more and more cancer patients at my practice. They come to see me either to replace an alternative treatment for their chemo and radiation or to use them as adjunctive to bring better results. What I commonly hear, however, is that the oncologists advise cancer patients not to receive any natural medicine during their therapies! They automatically assume if any remedy is to help healthy cells and to make them feel better, it could make cancer cells to feel better too! WRONG!!! Cancer cells live and thrive in specific environments. They utilize very little oxygen (sugar fermentation) and need a highly acidic environment to grow! In healthy people, initial cancer cells are recognized and eliminated by the innate immunity of the body, an ability that is lost with cancer! In addition, the nutritional deficiencies, lack of probiotics and over-toxic state of the body during cancer are important factors allowing the cancer to take over the body easier. 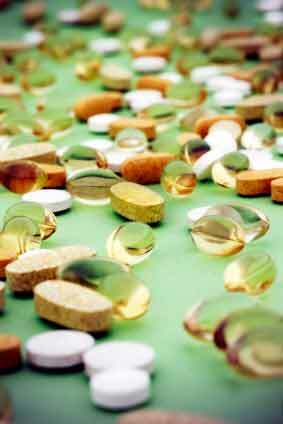 The truth however is that it all could be supported with the right nutritional supplements. Cancer is the disease of the immune system (an infection) in conjunction with compromised oxygen utilization (at the cellular level) and broken membranous structures of the cells (the signaling/ communication organelles!). In the very beginning, however, the use of highly purified foods such as B vitamins and omega oils, as well as ginseng should be avoided initially until the active bugs are addressed. You don’t want to feed the microbes! Remember, cancer has to do a lot with infections (viruses, bacterial, parasites, and fungi)! That is the most important issue to consider when an active cancer is being dealt with initially. In addition, to have chemo work, a certain amount of the medicine must stay in the blood. Large doses of liver detox could also compromise the results by elimination the chemo from the body faster than what it is needed! In the rest of the conditions, nutritional supplements are crucial since they will help the body change its environment fast, balance the immunity more efficiently, as well as their nourishment aspects and their support for reconstructions and recovery! One of the researchers, Jay Piccirillo, MD, of Washington University in St. Louis, stated that the results “provide further evidence for what we’ve really suspected for a long time — that in the management of patients with acute sinusitis, antibiotics do not convey any additional benefit.” You might as well just wait it out with over-the-counter medications. 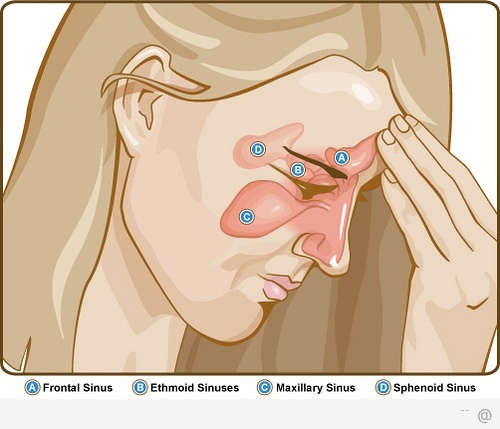 So if antibiotics are a waste of time, what really will work for sinus infections? I don’t think there is a better treatment than ozone therapy. Not only does this work incredibly well in acute infections, it is equally effective in chronic infections. Don’t forget to brush your teeth! This phrase used to be my mother’s reminder every night before I went to bed. But I soon realized that just brushing was not enough, so I also floss after each meal and get a professional cleaning twice a year. Yet what might really surprise you is this: I pay special attention to what I DON’T do for my teeth. Indeed, when it comes to dental health and your bones, less is more. 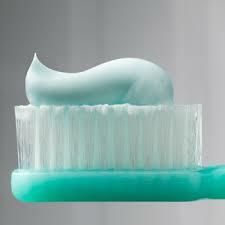 Because a toxic ingredient is lurking in just about every dental hygiene product. And this chemical can hurt your bones and your overall health. Here’s a hint for you: it’s also in tap water. If you’ve read The Missing Link – which is part of the Save Our Bones Program – you’ll know what it is. Sodium fluoride is the dental health “wunderkind”, supposed to reduce cavities in people of all ages, and especially in children. Most dentists will tell you that there is real science behind using fluoride, since studies have shown a increase of as much as 50% in cavity reduction. No wonder most municipalities supplement their water with it. And dental hygiene products manufacturers jumped on the bandwagon. Yet fluoridated compounds, including sodium fluoride, have been used as the active ingredient for pest control since the end of the 19th century, mainly against cockroaches, ants, and rats. What this warning fails to mention is that the mucosal lining of the mouth is extremely efficient at absorbing chemicals. That is why many quick-acting drugs, such as nitroglycerin, are placed under the tongue. And here’s a sign that the problems associated with fluoride are coming out in the open. The CDC is now advising to reduce fluoride supplementation in water to almost half of the previous levels. In its latest report, the agency acknowledges that two in five children in America exhibit dental fluorosis symptoms. Further evidence of fluoride’s accumulation in the body is that – as many studies have shown – it actually increases the risk of fractures, and in particular the dreaded hip fractures.2, 3 Plus since fluoride is a chemical, it also acidifies your pH, thus making it even more challenging to maintain an alkaline pH to retain and increase bone density. But that’s not all; fluoride also disrupts collagen formation – something that obviously contributes to the higher incidence in fractures – and may cause skeletal fluorosis, a condition with symptoms similar to arthritis.4 In The Missing Link you can get your hands on each and every study relating to fluoride, bone health, and your general health. Now that you know that fluoride is absorbed through the mouth, you will most probably be eager to stop using fluoridated dental products, in addition to avoiding tap water,. So don’t get discouraged: it’s a lot easier than you think. Granted, just about all of the well-known brands, such as Crest, Colgate, Listerine, and others contain fluoride, but quite a few fluoride-free brands are sold in health food stores and in the “green” section of supermarkets. Besides not having toxic fluoride, my favorite toothpaste has a wide variety of ingredients that have been scientifically shown to improve and prevent gum disease. Aloe vera, CoQ10, and tea tree oil are powerful allies of a healthy mouth. And it’s more than just fluoride free; it also free of sodium lauryl sulfate (a foaming agent that mimics the action of estrogen in the body), artificial colors, flavors, and sweeteners. My dental hygienist Hindy – whom I’ve been going to for 15 years – is amazed at the condition of my gums and teeth. You see, while I was never prone to cavities, before I started on the Save Our Bones Program my gums were red, swollen, and bleeding easily. I had to get professional cleanings every three months to prevent periodontal problems. Soon after following the program, my gums did a 180 degree turnaround. So much so that Hindy was stunned. She asked me what had changed, and I told her about the Save Our Bones Program and how it balances the body and the pH. As it happens, she had also been diagnosed with osteoporosis, so she got on the program right away. Besides switching to natural and fluoride-free toothpaste, I have recently started using a sonic toothbrush. It not only keeps my teeth clean and bright white, it also massages the gums and gently removes plaque. I’ve had an electric toothbrush for several years, and it is certainly better than a manual toothbrush. But here’s the big difference: sonic toothbrushes generate between 30,000 and 40,000 brush strokes per minute while electric toothbrushes generate between 3,000 and 7,500 per minute. Compare to this manual toothbrushing at about 300 per minute. Researchers have shown that a clean mouth, free of inflammation and irritants, may prevent health problems. And if you’ve taken osteoporosis drugs in the past, it’s especially smart to avoid dental problems and gum issues. So stay away from fluoride, brush and floss often, and keep smiling, because you’re on the right track! By: Vivian Goldschmidt, MA . In June 20, 2012, an article in Gulf News was mentioning about increasing rate of breast cancer among women below 40 in the UAE. It sounds scary to many. The article was also mentioning the genetic factors as predispositions, offering more frequent mammograms (for scanning and monitoring) including mobile ones around all government institutions and extend it later in academic institutions. Now, let’s see what cancer is and how it can be treated and more importantly prevented! Fact no 1: Prevention is always easier that treatment! Fact no 2: Cancer is a part of behavior mainly! We are not genetically predetermined as the old science believed. Therefore, we are not victims as we were told before. Each one of us have genes to start and at the same time genes to control and turn off the cancer. It is about what signals triggers these genes on or off! This is the findings of the new science. Epigenesis or how signals perceived by us could turn our genes around! (Professor Bruce Lipton, the Biology of Mind). In reality, less than 10% of cancers are directly related to genes and more than 90% are created based on the effects of behavior, environment and life style. Fact no 3: Cancer is nothing but a disease of the immune system, the defense system o the body. So it should have something to do with microbe and, toxins! In fact, every human develops about 70 different forms of cancer in his or her body every single day. But why many never experience the disease while a few others do? It all goes back to the ability of their immune system to scan, detect and to eliminate. In the case of cancer, therefore, the immune system seems to be unable to recognize the ill cells, perhaps a problem with communication between the cells! If the environment is ready, the cancer seeds now could grow and eventually develop as a full blown disease. In healthy individuals, when initial cancer cells are developed, they are recognized and zapped instantly by the soldiers of the immunity. Cells produce signals for recognition and communications. This is done by biochemical as well as physical signals through cellular antennas. Consequently, if these signal are compromised (i.e. broken antenna), they message be recognized! So, in the case of cancer, the membrane of the cells MUST be damaged! What could damage the cell membranes? The answer is TOXINS! Some of these toxins include heavy metals, plastic by-products and chemicals mimicking hormones. They could very well make our bodies acidic too and chronic inflammation will predispose us to any chronic disease, including cancers. It is impossible to find 1 single fish that is free from heavy metals! There are over 8000 chemicals used in the American food industries, 90% of which considered SAFE!!! 98% of soy and corn, as well as many other major grains and normal foods such as canola and wheat are genetically modified today. This is the food of cattle industry in many farms. Legally, hormones are allowed to be used in animal farming by the US laws. Here, our chickens are fed with estrogen (the active form of estrogen) to lay more eggs and meat and dairy products are also loaded by them (Gulf News, Saturday, October 09, 2010). Excessive exogenic estrogen or chemicals mimicking it are responsible for the majority of hormone-dependent breast cancer and others. We eat the chicken and we think eggs are good sources of food for us! How do you receive your food from restaurants? Hot meals in plastic containers? If the containers are not specifically designed for that purpose and are not food graded materials, you will be in trouble. The same as your drinking water, delivered in plastic containers in the hot temperature of the summer shaking in the trucks for hours before they reach you. Plastic stays in the environment for about 400 to 1000 years before disintegrating! It will do in our bodies too if they are ingested with food. What about warming up food in plastic containers in microwaves?!!! The federal government recommends children to get 69 doses of 16 vaccines from the day of birth till age 18. Vaccines carry many preservatives, stabilizers and adjuvants such as aldehyde and aluminum! Our drinking water supply is delivered to us in plastic containers exposed to the excessive heat of the UAE. According to research, in more than 90% of cancer tissues, parabenes are detected. They are hormone mimicking chemicals found extensively in many cosmetics, including anti-perspirants, deodorants (applied to the armpit) and skin care products. Lendaine, a pesticide, detected in meconium of 98% of fetus in the US! (Just as an example of the depth of contamination in our daily life). There are many other forms of nasty pesticides and herbicides used on our daily vegetables and fruits in many societies. Did you know that? In average, 39 preservatives commonly used (tartaric acid, a sole product of yeast, commonly used as preservative & taste enhancer [Robertson, 1968] is a muscle & nephrotoxin with structurally analogue of normal Krebs cycle compounds, acting as anti-metabolite! PCBs (Polychlorinated Biphenyls) and Dioxins (Poly-Aromatic Hydrocarbons) as the most toxic man-made organic chemicalare produced and used by millions of tons annually. They are very dangerous, little to no odor or taste, fat-soluble substances to which everyone is exposed (ingesting animal fats, inhalation, or dermal contact). They suppress the immune system and are powerful hormone disrupting chemicals. Dioxins are considereda class of super-toxic chemicals with toxicity second to radioactive waste. And then stress (the most acidifying factor in our lives!!!) which is experienced almost by everybody in high paced societies frequently and constantly. Many think their lives are supposed to be like this when it comes to chronic and intense stress! Fact no 5: History of long-term chronic infection and inflammation are always an issue with cancers. As a matter of fact, deep seated microbes are detected in cancer patients all the time. They could be there for decades till finally turning into a full-blown disease! Many people could carry microbes in their bodies undetected for many years. As an example, dental root canals or bad microbes in the glands, organs or the lumen of digestive system likely forever due to violating the “Rules of Stomach”! Imagine if we insult our pancreas (one of the most important organs of digestion) every time we eat food. It means for many years. Life-time habitual actions such as drinking excessively (even plain water) with or immediately after meals, having large salads or fruits (including fruit juices) with or after meals and other wrong habits should create constant fatigue and therefore could drain the local defense and expose us to chronic degenerations, including cancer. Fact no 6: Mammograms are a bit too risky and dangerous.The National Cancer Institute (NCI) was warned by Professor Malcolm C. Pike a number of specialists at the University Of Southern California School Of Medicine, 1974: “giving a woman under age 50 a mammogram on a routine basis is close to unethical.”And in the 1990’s, Dr. Samuel Epstein started warning people about the dangers of mammography, stating: “The premenopausal breast is highly sensitive to radiation, each 1 rad exposure increasing breast cancer risk by about 1 percent, with a cumulative 10 percent increased risk for each breast over a decade’s screening… The high sensitivity of the breast, especially in young women, to radiation-induced cancer was known by 1970. Nevertheless, the establishment then screened some 300,000 women with X-ray dosages so high as to increase breast cancer risk by up to 20 percent in women aged 40 to 50 who were mammogramed annually.” Other issues with mammography: While roughly 15 percent of women in their 40’s detect breast cancer through mammography, many other women experience false positives, anxiety, and unnecessary biopsies as a result of the test, according to the data. In fact, a full decade ago, a Danish study published in The Lancet concluded that previous research showing a benefit of mammograms was flawed and that widespread mammogram screening is unjustified. Fact no 7: Many other well-known wrong life style such as smoking, excessive pure sugar and alcohol consumptions and so on what are known to majority of public that we won’t get into at this point. An old Chinese Philosophy: Health is the ability to adopt! Fact no 8: our environment is changing much faster than we can follow! A series of actions and habits will go a great way. 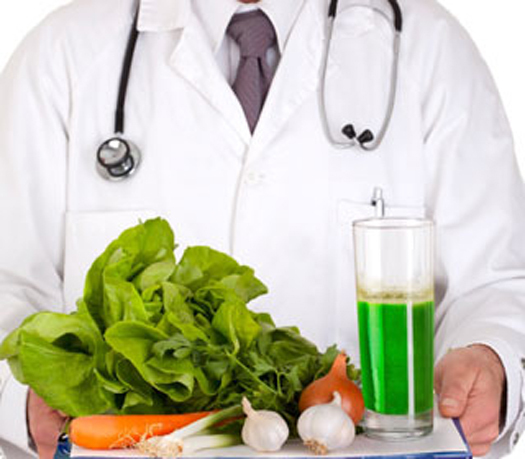 They include: Alkalizing diets, rest, balanced life style, gentle exercise and physical activity, proper cleansing and detoxification, immune system enhancements, stress reductions, addressing old/ unresolved emotional or mental factors, better choices of food, following rules of stomach (how to eat), avoiding excessive chemical exposure, taking enough rest, etc. are just some to name in terms of prevention! A single Quantum checkup (the science of the 21st century) will reveal the quality of functions in us including acidity, oxygenation, stress factors and energy circulation. It allows the energy and the electricity of the body to speak for us revealing important information which is mainly hidden to many of us! Fact no 9: You should not be afraid and worry excessively. Nature is great and our bodies are smart. Follow the rules of life and if you (with your mind) connect to your body deeper and use your wisdom and logics. Ask questions and follow your heart. Respect your body and the environment and don’t forget that the essence of life is nothing but LOVE (The hidden Message in Water, by Masaru Emoto). Things will happen in the way you have never expected. So be positive and optimistic and just do your best! Prevention is always easier and more reliable that treatment!